The 25-year-old Army man Dushyant Singh claimed India’s first medal in rowing at the ongoing 18th Asian Games in Palembang at Jakarta. After Dushyant Singh started the day with a third-place finish and claimed a bronze in lightweight single sculls at the Asian Games in Palembang. He finished third on the podium with a timing of 7.18.76 as India enjoyed a good beginning on the sixth day of competition. In Roorkee Dushyant Singh had began rowing in 2012 at an army training camp. He had won a bronze in the last edition of the Games in Incheon . 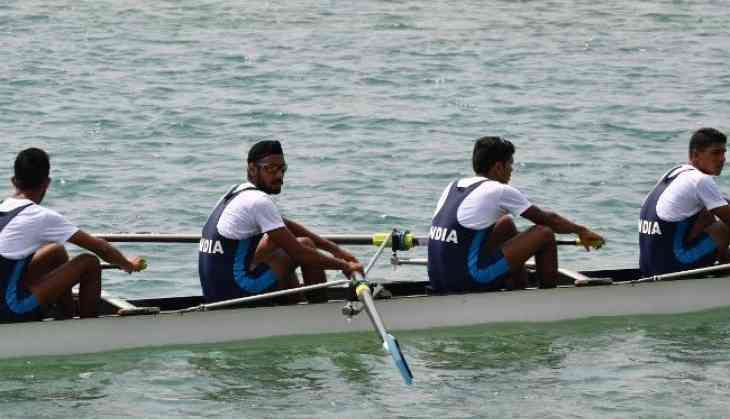 Dushyant Singh was also declared as the best rower in the 2013 National Championships. This was India’s 23th medals at the ongoing Asian Games and 13th bronze. India has also six gold and as many silver medals.